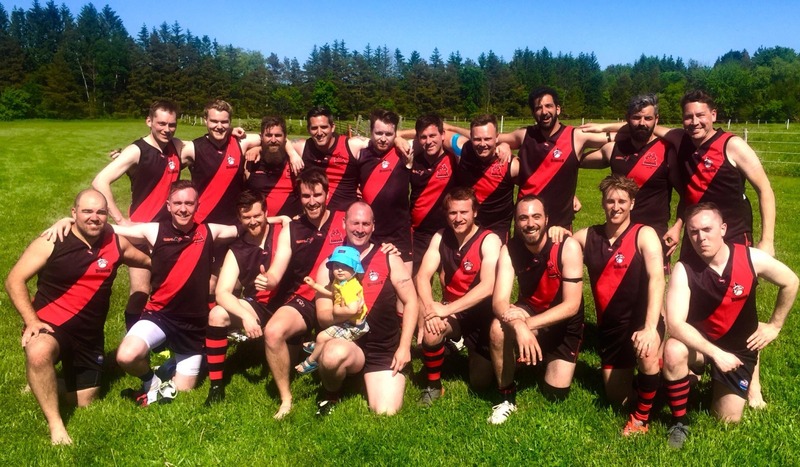 Due to a first round bye, the Toronto Dingos had to wait an extra week to open their AFL Ontario 2018 Season, making an early-season journey down the 401 to square off against the Ottawa Swans at the Manotick Polo Grounds. Despite a strong gameplan and gritty endeavour, the Dingos struggled to compete against a strong Swans home squad, who quickly put the match our of reach in the first half. The Dingos did their best to contest, and full credit goes to the backmen - anchored in this match by Ben Moller and Gary Conlon - who were under the pump for most of the match, and kept the Swans from running up the score even more. Many lessons were learned from this matchup, and the Red and Black are looking forward to their next matchup against the Swans later this season. Yet, there was a silver lining for the Dingos. 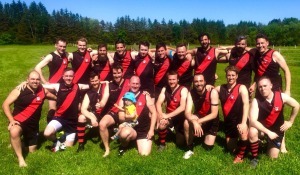 After a difficult 2017 season, the focus for the Red and Black for 2018 was recruitment and development - so, a strong showing of 8 first time Dingos (5 of which have never played a footy game), followed by a fun-filled, team-building evening in Ottawa will soften the recollection of this game as the club looks forward to their next match against the Hamilton Wildcats. Congratulations to all the first-gamers this past weekend, including Devin Dutt, Will Whyte, Jimmy Sharman, Gauthier Oudar, Chris Single, Rhys Waples, John Curtin, and Justin Bell. An extra tip of the hat also is due to Jono, who nabbed BOG honours in his rookie debut thanks to some incredible endeavour in the guts.